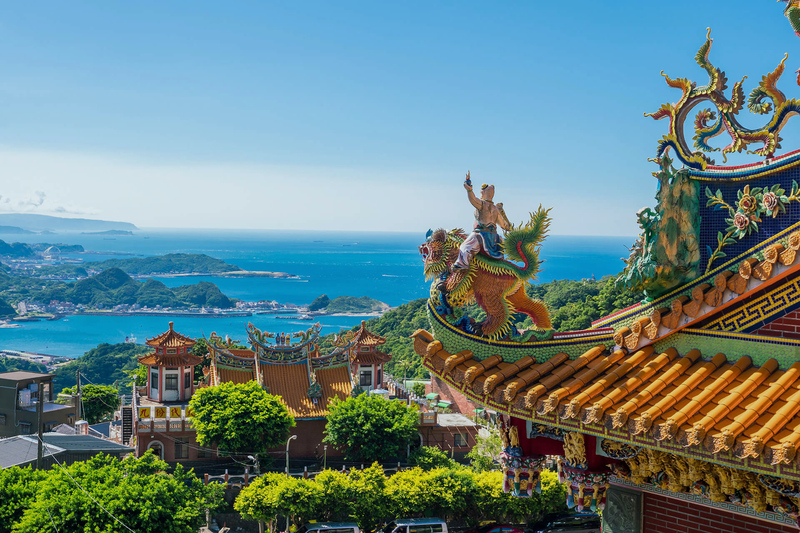 An all-encompassing itinerary designed to give students an in-depth look into Taiwan, this program includes cultural insights, as well as immersive experiences with Taiwan’s diverse geographical, anthropological and biological landscapes. Our Taiwan learning adventure allows for teachers to bring classroom subjects such as geography, environmental science, language, anthropology, economics, outdoor education, and history, to life. Starting at the northern business hub of Taipei with its bustling ports and electronic mega-corporations, students will experience volcanoes, hot springs, rice paddies, waterfalls, forests, jungles, gorges, aboriginal villages, a local school exchange, a company visit, as well as arts and crafts opportunities before finishing up their trip at Taiwan’s breathtaking south seas, Kending. Arrive at Taoyuan airport where you will be met by your trip leaders and transfer to the Taipei city center. Visit the oldest district of Taipei, Dadaocheng. During the late 19th century Dihua Street was a major trading center, our guides explain the history as we walk through the area. Head out early to visit a dormant volcano at Yangmingshan National park. Hike through the Qingtiangang grasslands with a stop off at Lengshuikeng Hot Springs. After visiting the steaming sulfuric fumaroles of Xiaoyoukeng, spend the rest of the day at the National Palace Museum, home to a myriad of Chinese art and relics. 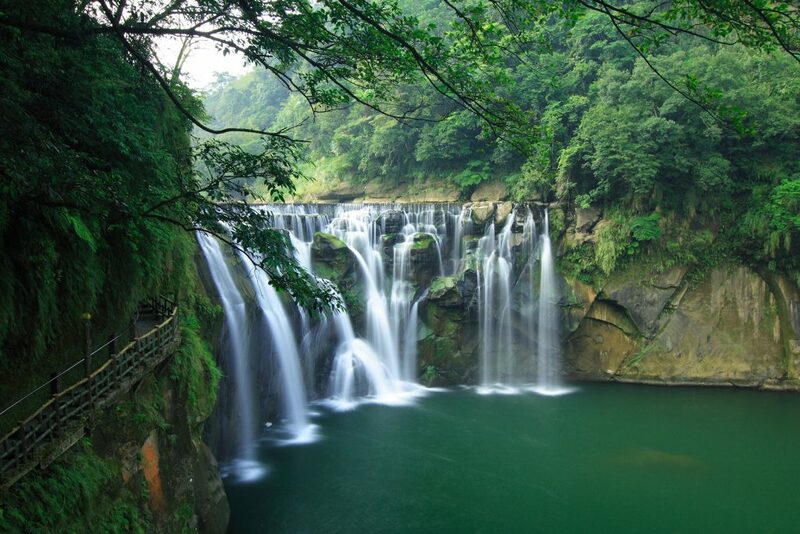 Visit the beautiful Shifen waterfall followed by a visit to Yeliu geopark, the site of a unique set of geological phenomena formed 10 to 15 million years ago. End the day in the charming village of Jiufen during sunset and watch the lanterns being lit as night falls. Travel to the plains of Yilan in the east and set out on a full day hike on the Caoling historical trail, originally built by aboriginals and maintained by the Qing Dynasty government. We traverse through a beautiful tropical forest to the dramatic grasslands and cliffs of Dali. To relax, visit the natural outdoor hot spring baths of Renzhizhe. Visit the Taroko Marble gorges, one of the tallest canyons in the world, and then stop for a break at Qingshui where the river waters feed into the Pacific Ocean. Visit the a Taroko tribe village museum and engage with a tribesman to learn about their culture and history. In Hualien, take a boat out to spot the dolphins native to this area (90% chance to see the dolphins. Interested in a Biology trip? Ask our specialist now). Afterwards, continue south alongside the Pacific Ocean making a short stop at the beautiful Xinshe paddy fields. Spend the night at a beachfront hotel. Begin the day by learning about a fascinating outreach programme started 40 years ago in Taiwan. Next, visit the aboriginal Ami Folk Center and learn how to weave a bamboo basket in the traditional way. 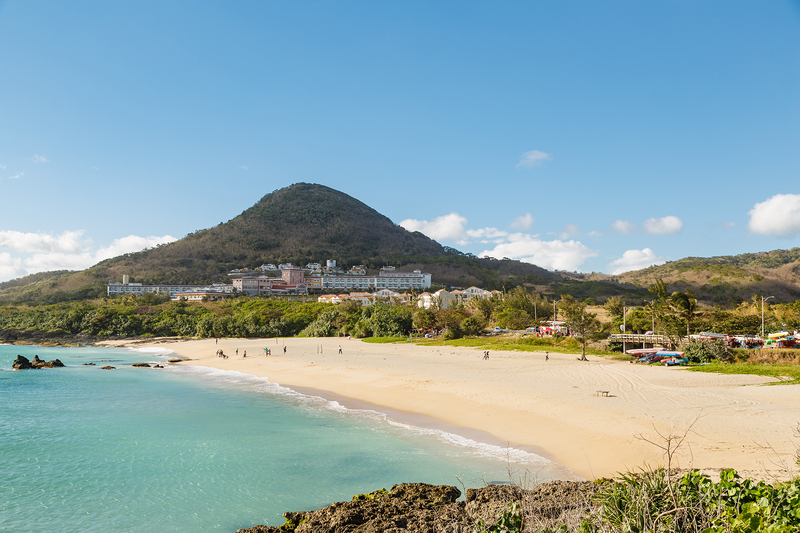 Spend the rest of the day on the pristine white sand beaches of Kenting national park. We kick the morning off by kayaking in a local lagoon. Afterwards, students have the option of having a free afternoon, or, taking the day for field studies collecting data about and analyzing the biodiversity in the caves, forests, and beaches of the national park (ask us about our biology itinerary!). Leave Kenting and drive to western Taiwan. Visit the Taiwu aboriginal village school and meet its students. This school teaches aboriginal children their ancestral tribe songs so that they may be preserved. Visit Meinong, a Hakka village, where elderly master craftsmen show how to create traditionally crafted umbrellas in their beautiful courtyard home. Learn about the city’s tumultuous history and visit forts built during Dutch occupation as well as the temple of Koxinga, a Ming general who died just one year after driving them out. We also go to the famous “tree house,” a series of deserted Dutch style housing that has been colonised by a giant Banyan tree.